Why does God permit him to exist? How did a Jewish book end up as God’s handbook for everyone? 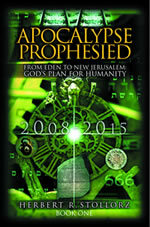 This chapter provides a brief view into the past universe when Satan violated God’s honor. The resultant history of Satan’s age of rebellion had immense consequences for humanity and the universe. In this chapter you will learn about God’s purpose for Satan’s existence and how that purpose relates to the Apocalypse, which will end in Satan’s demise. Since I use the Bible to authoritatively answer these big questions about life, God, and prophecy, I thought that I should at least provide the reader with a summary of how it came to be written and who wrote it. Even the structure of the Bible itself reveals much about God’s thinking and plans for humanity! One drop of water under a microscope can reveal a vast amount of information about the ocean. Likewise, this chapter will focus on God’s purpose for human existence. I will show you some of what lies concealed within the infinite cosmos of the Bible. Millions of years ago before the earth and human beings were created, another world existed. There was a government in place although we know very little about it except that the Creator of everything was in charge. The God of the Bible is multidimensional, a concept we humans have difficulty understanding. The Hebrews think of God as the Creator, the Ancient One. But the council of Nicaea proclaimed God as "three in one" in the fourth century AD. To join the Hebrew mind-set with our Christian concepts, I use the words "GodFather," "GodSon" and "GodSpirit." Jesus used the familiar concept of Father and Son. He told the disciples that He would send a Comforter, the Holy Spirit, who would teach them and be with them (and all believers) until He returns to this earth. All three concepts—Father, Son and Holy Spirit—together mean God. To explain this mystery, I like to use the illustration of a triangle. It has three sides, but each side is one aspect of the whole. To join the Hebrew mind-set with our Christian concept, I use the words "GodFather," "GodSon," and "GodSpirit." God is eternal, another concept we limited humans have difficulty comprehending. He had no beginning, and He will have no end. He always was and always will be. Originally the universe was perfect. It required no laws to honor God. Holiness and respect for the Creator were expected from every creature. Lucifer was the masterpiece of God's creation: a mighty, powerful and brilliant angel. He was created with great intelligence and adorned with precious jewels. Lucifer dazzled with glowing beauty and perfection as he walked among the fiery stones found in front of God’s throne. He was an archangel of the highest order in the dawn of the universe. He held the exclusive position of "Anointed Cherub that Covered," which implies that he was a protector of God's holy throne. The word of the Lord came to me saying, ". . . You had the seal of perfection, full of wisdom and perfect in beauty. You were in Eden, the garden of God; every precious stone was your covering: the ruby, the topaz and the diamond; the beryl, the onyx and the jasper; the lapis lazuli, the turquoise and the emerald; and the gold, the workmanship of your settings and sockets, was in you. Pride caused Lucifer's downfall. One day Lucifer, the star of the morning and son of the dawn, challenged God's sovereign character. He dishonored God in the highest assembly in front of all the heavenly dignitaries. Lucifer's contemptuous act was a willful, rebellious attempt to replace God on the throne. I will ascend to heaven. I will ascend above the top of the clouds. Lucifer instigated a massive rebellion against the established order. He caused one third of the angels to follow him in his rebellion against God by convincing them that a government system without God could succeed. God's holiness demanded that He remove the source of this rebellion to restore His honor. He could have destroyed everything, killing all that were guilty of an infraction against Him; however, that would have caused the good angels to withdraw from God in fear. Instead He changed Lucifer's name to Satan and cast him out from the holy mountain together with all who had rebelled against the divine order and government. New guidelines had to be established to restore harmony. The powers and principalities that existed in heaven had to be replaced with a new leadership. This change in the nature and qualifying process for ruling under God would make future rebellion impossible. Future generations would voluntarily choose the obedience of love. The 7,000 years of rebellious experience will inoculate humanity with the futility of living contrary to God's government. Although Satan had been removed from the holy assembly, he was still allowed access to heaven and was tolerated at special meetings before God. In these special meetings, Satan continually stirred up the pot. He proposed that God should allow the expanding universe to evolve without His divine guidance and intervention. Many angels, perhaps up to a third, have sided with the Deceiver in his rebellion against the Creator of all. I can quite readily imagine what Satan’s complaint might have been. He argued with God that future created beings should be able to make up their own minds and change the laws to suite their own agenda. He contended that God should not interfere in any created being’s exercise of an independent will. God should not force conformity to a dictatorship from above - even when those created beings are in conflict with established laws or where they deny the very existence of the Creator! Satan reasoned that the universe did not need to be supervised once it had been created. Just because God claimed to be righteous and always perfect does not mean that the created beings couldn’t develop into something better on their own! To have something better emerge by evolution would prove that God’s interference would not be in the best interest of the creatures He wanted to control. If God were to admit that Satan was correct, the logical conclusion would be that some of His original creation was inferior and in need of improvement. The diversity of nature is part of what He created, but Satan asserted that diversity should be permitted to go its independent way, wherever it wanted to go. “You aren’t fair, God,” Satan pleaded. “When I tried to make my point, you cast me out without justification.” Satan wanted to establish a global system without God's laws, where the existence of God was denied. God finally agreed to allow Satan to try out his independent philosophy. Out of His merciful love the Creator wants to inspire willing agreement with His standards of righteousness. It is impossible to command loving obedience, yet the spirit of rebellion and disobedience must be restrained, otherwise the universe would be filled with constant chaos, rebellion, war and devastation. Under strict supervision God granted Satan permission to try out his blasphemous proposal in a specific place in the universe. Satan's heretical philosophy would be tested in the time dimension to prove that his concepts of governing the universe without God were severely deficient and unworkable. God chose to use real experience bound within a universe of matter and time to demonstrate His righteousness and prove the eternal truths of His love. How else could God ensure that there would never again be a group of creatures that would dishonor Him and cause such violent upheaval that they would destroy one another and eventually even themselves? The great plan of God would make it clear to everyone that Satan's propaganda of self-defined righteousness could only end in corruption, chaos, sin and death. Contrary to Satan’s contention, self-defined righteousness could only end in corruption, chaos, sin and death. Contrary to Satan’s contention, God knew that once the universe became disconnected from the sole source and definition of the only life worth living, it would degenerate disjointedly into disharmony, ending in destructive oblivion. But Satan can never be persuaded to accept God’s plan. In his hatred and anger for having been kicked out of the highest government position, the Enemy remains corrupt in eternal rebellion - always stirring up trouble throughout the universe. He has won many followers from both the angelic and human populations. God created a special world in which Satan could implement his godless and rebellious theories. This place became our earth, and it was destined to become the battlefield of good versus evil. The climax of that battle between God and Satan takes place during the Apocalypse when the full implementation of Satan’s vision on how the world should be run realizes its ultimate potential for evil. For seven years Satan’s spirit of disobedience will be permitted to flow freely. It will be an age of rebellion, chaos, war and devastation in every continent, nation and ethnic population. In the beginning when God created the heavens and the earth, the earth was a formless void and darkness covered the face of the deep. And God said, “Let there be lights in the dome of the sky to separate the day from the night; and let them be for signs and for seasons and for days and years, and let them be lights in the dome of the sky to give light upon the earth. Then God formed man , a new creature by designed nature. People possess the capacity to choose to behave in either a good or evil manner. Satan would be allowed limited access to man, to tempt him with disobedience. Ultimately the outcome of those tests would prove the terrible consequences of Satan's rebellious thinking beyond doubt. Because God is all knowing, He realized that man would fail the initial test and fall prey to Satan's evil scheme. In anticipation He created humans with a limited lifespan so that we would not be forever subjected to Satan's corruption; however, God also decided to offer man a way to live beyond the grave. Since people had to live in a fallen world, the Creator God revealed His plan of reconciliation to give us hope. He would insert Himself into the world, which operates under the evil domain of Satan. God planned to humble Himself to a form of life lower in status than even the angels and live among us on earth. Mortal, like the rest of us, the GodSon would also be subject to sin and death. The eternal GodSon would live as a human being in a transient environment of suffering and corruption among rebellious people. He would experience everything that is common to humankind. Toward the end of His earthly visit, He would demonstrate that God should be obeyed regardless of the material, social or spiritual environment. In the mantle of humanity, the GodSon would demonstrate a Father-pleasing life on earth while surrounded by opposition, sin, crime, poverty, slavery and a cruel military dictatorship. His humanity would be exposed to the natural elements of this world and be tested to the very limits of endurance. His life would not end comfortably but in a gruesome execution on a cross. After experiencing death and resurrection, the GodSon would initiate salvation and restoration for sinful human beings who were subjected to Satan's domain on earth. According to the plan, God would appoint certain human beings who lived during Satan’s domain to govern the universe with Him. These selected humans would be trained on earth before being resurrected to become the new administrators. While on earth, this distinguished group of people would be inoculated with massive doses of corruption, sin, failure, pain and death. Because of the trials they endured on earth, these saints love God with all their hearts. They are intensely loyal to Him and know that they succeeded only by faith in God’s power to change their nature to be like their Creator. These redeemed human beings will fill the vacancies left by Satan and his unholy angels to govern the expanding universe becoming part of the new creation. They will implement a new system to safeguard God's integrity and prevent future misunderstandings so that no one will ever insult God again. At the end of time Jesus Christ, the GodSon, will be seated at the right hand of God's throne of majesty and glory in the company of millions of redeemed human beings who will give God honor and praise. Clothed in His ultimate meekness by being shrouded in His human appearance that still shows the nail marks on His hands and feet, Jesus will present the Father with all the power of the universe attained by His victories over sin and death. This will symbolize the restoration of God's honor violated ages ago by Lucifer’s rebellion. The last chapter of the Bible teaches that after the end of the time dimension, God will create a New Heaven and a New Earth where God will live with men in a new relationship never before experienced. There will be no more death, suffering, pain or tears—only joy, fulfillment and a satisfying life. The oracles of God were given to men at the beginning of history on earth. These laws allowed man to live in harmony with God and nature in the midst of evil. While the first human couple still lived in the Garden of Eden, these instructions were embedded in their consciousness. After Adam and Eve's expulsion from the Garden, the oracles of God were passed on from one generation to the next. Forty authors wrote the Bible. These men obediently wrote down exactly what God commanded although they did not always understand what was being transmitted through them. They lived centuries apart, represented diverse cultures and came from a cross-section of society. The authors of the Bible portray a wide range of life positions and jobs, encompassing an extensive spectrum of lifestyles, education and professional status. Every aspect of human endeavor is represented. Moses compiled the Torah, the first five books of the Bible. These original manuscripts recorded the early history of humanity and how the world was created. They told of the experiences of Adam and Eve in the Garden and explained the reason God destroyed the first civilization in a worldwide flood. The high technology of making superior paper in ancient times did not survive the Flood so paper had to be reinvented by people who used whatever materials were available in the neighborhood. The history of mankind was written on scrolls made of vellum and fragile papyrus. Papyrus paper was composed of flattened, compressed leaves similar to our tamale skins. After the Flood Noah's descendants dispersed in many directions even reaching what later became China. Everywhere they went they took with them some of the oracles of God that had survived the catastrophe. Satan has repeatedly attempted to destroy and neutralize God's instructions to man by sowing lies and inventing false religions. But whenever Satan tries to obliterate the written oracles of God, the Lord replaces them somewhere else. As the population increased, Satan stirred up trouble. He influenced one Chinese emperor to burn all old books and destroy the evidence of their existence. Most ancient records, scrolls, paintings, pottery, and priceless art disappeared, including the sacred writings of God. To make sure that no traces could be found, the emperor killed everyone who would remember the past. But God preserved a fairly complete collection of the pre-Flood oracles in Southwest Asia. He appointed a family living there to carry these sacred books through the ages. Eventually the nation of Israel came into being in fulfillment of God’s special covenant with Abraham. In 588 BC Satan influenced King Nebuchadnezzar to assault Jerusalem and destroy the city and the Jewish temple. At least one of the original Hebrew manuscripts was buried in the basement of Solomon's temple, along with many handwritten copies of the old laws. Miraculously, other scrolls also survived the destruction to be secretly transferred to other locations. Alexandria was built at the crossroads of an emerging world empire. It became an important center of scholarship, including the study of the ancient laws of the Bible and history of the Jewish people. From there biblical knowledge spread throughout the Hellenistic world. Satan, never satisfied, assaulted the transmission of ancient truths again in 284 BC when a great collection of ancient books was burned in Alexandria by Ptolemy Philadelphus, a brutal military man. This King of Egypt scorched a collection of 700,000 handwritten books dealing with advanced science and mathematics. Julius Caesar repeated this process of destruction in 47 BC as did the Caliph Omar in AD 640. It seemed this time that Satan had succeeded. The world nearly forgot its beginning, but despite Satan’s best efforts, God succeeded time and again to re-establish the important essentials of what was lost for future generations to know. These numerous scrolls eventually became the Bible as we know it today. We can trust the Bible’s accuracy because of archaeological discoveries made over the last 100 years. During Roman times, many holy scrolls were stored in secret caves by small dedicated groups of Jews who risked everything to preserve their ancient records. The scribes who copied these records were disciplined, accurate, sensitive and dedicated to preserving these written records exactly and precisely. The Qumran and other Judean desert scrolls hidden by these ancient Jewish scribes were rediscovered in the twentieth century. When they were compared to the scrolls used to make printed Bibles, the texts were virtually identical. This fidelity of text—in spite of the hundreds of years that had passed—demonstrates the ancient and medieval Jewish and Greek scribes’ diligent faithfulness in accurate transcription. As writing became more prolific, the Bible, now including the gospel of Jesus Christ, moved into Europe. Satan created an Islamic military force to try to stop the spread of the gospel. He also manipulated the Roman Catholic Church by replacing some of the leadership with vile, corrupt popes, bishops and cardinals who ruthlessly burned and tortured in public squares anyone who held to what the Bible taught. God counteracted by replacing these heretics with holy men and women, who were then executed by the church and her political allies. This sequence of events repeated itself over the centuries. The Protestant Reformation ended the Dark Ages. The revival of much biblical truth caused the western world to prosper again and increased human liberties. God's laws were copied by the printing press, which reproduced the Bible in hundreds of languages. Satan then tried to silence and mock what he could no longer erase. He changed his strategy to controlling the world's educational systems. Today our schools and universities present a false knowledge skewed by an atheistic viewpoint that suppresses the truth by denying God's existence and His rightful place in the public and political arenas. Satan has gone to great efforts to prevent humankind from finding the way to be saved, and he will foil any attempt to discover the path of eternal life and fellowship with God's family. He often uses another time-tested method: war. The last century has seen more wars than in all the history of mankind. This keeps humans busily embroiled in a battle for survival so they will not have time to find God's answer for their lives. Understanding and interacting with the truths of the Bible is a supreme blessing. God’s Word to us, the Holy Scripture, is necessary for obtaining spiritual light and life from Him, but gaining an accurate understanding of the Bible presents some very real challenges to the modern reader. This is particularly true of the Old Testament because of significant gaps that must be bridged. A good working knowledge of the Old Testament is necessary to understand the New because the Old Testament points to and is divinely authored by Jesus Christ. The goal of the Bible student should be, as much as possible, to bridge these gaps. We should try to “look over the shoulder” of the human author of each book of the Old Testament. Only then can one accurately apply what is taught there to one’s own life. Language: The Bible was written in Greek and Hebrew, whereas our English has mostly Germanic, Old French and Latin roots. Culture: The ancient near eastern people had careers such as farming, animal husbandry, trade and tent-making. Geography: Landmarks, such as mountains, seas and deserts, defined the lives of the people. Technology: They had no cell phones, faxes or computers. Travel was limited to how far one could walk on foot or, for the wealthy, ride in caravans. Different dispensations: It is difficult for us who are living in the dispensation of grace to comprehend what life was like 3,000 years ago under the Law of Moses. Spiritual/moral content: The divine Author of the Scriptures makes moral and spiritual demands of the reader, which we find undesirable and inconvenient. We don’t like the demands of God on us, and this attitude can color our interpretations. In addition over 50 percent of the writing in the Old Testament is poetry. All of the Psalms and Proverbs are poetic. The great majority of the prophetic works (major and minor prophets) are also poetic. To unlock the riches of the Old Testament, we must have at least a rudimentary understanding of Hebrew poetry. The Western ear listens for similar sounds. The Hebrew eye looks for similar or contrasting ideas. This concept can be used as a tool to bridge one of the gaps between the modern reader and the ancient writer. Once you grasp it, you will be well on your way to understanding the Old Testament prophets. To mentally sum it up again: in the communication of thoughts and ideas, western culture uses the ear, and Hebrew culture uses the eye to look for parallel insights or contrasting pictures. The Bible comprises a consecutive history of humanity written over 1,600 years after Moses. It consists of sixty-six books: thirty-nine in the Old Testament and twenty-seven in the New Testament. The five books of Moses begin with Genesis and culminate in Deuteronomy. They contain the Ten Commandments, which were engraved on two tablets of stone so that five laws appeared on each stone face (the number 5 referring to Heh, "the other side"). This Pentateuch (a Greek word meaning "five books") is the beginning of the Old Testament. Isaiah, Jeremiah, Ezekiel, and "the twelve" (twelve brief prophetic books that were originally written on one scroll and thus considered one book): Hosea, Joel, Amos, Obadiah, Jonah, Micah, Nahum, Habakkuk, Zephaniah, Haggai, Zechariah and Malachi. 4. Ezra, Nehemiah and Chronicles. 4. The book of Revelation (the Apocalypse). It is interesting to note that there are four divisions (four = Daleth, "the world in this time") in the Old Testament, and four divisions in the New Testament. The first division of the Old Testament (the Law) contains five books (five = Heh, "the other side"); all of the other divisions contain four sections. The first division of the New Testament contains four gospels plus the book of Acts. Thus, we see again the connection between the numbers four (4) and five (5). The middle of the Bible contains a collection of 150 psalms, which were originally divided into five books. They reflect the soul of man speaking to God. They provide comfort and assurance of God's sovereign love and strength. This section is called Tehilim , meaning "praise." The final psalm proclaims the familiar word hallelujah , which means "Praise the Lord!" The Bible has been translated into more languages and printed in more countries than any other book in history. Many people have died defending it because it has the power to change even the vilest heart. Through this holy book, God speaks to man and gives him divine instruction offering comfort in sorrow and understanding in the perplexity of life. It opens the way to overcome rejection, loneliness and despair. It gives advice, rebukes us and provides hope for eternal life, peace, happiness and purpose. The Bible was written by man, but is not the product of man. Each of us must decide whether to accept or reject it. Dr. Jerry Falwell, Old-Time Gospel Hour Bible (Thomas Nelson Publishers, 1976), 1828.